Do you ever find yourself wearing your Beer Breakfast tee shirt, feeling all comfortable and confident, being admired by all who see you as a true aficionado of all things fun? I know I sure do and have been for many, many years. 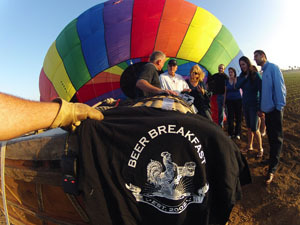 Well, here is a place for you to share ‘Me in My BB Tee’….. send us your photo via email to jared@beerbreakfast.com and we’ll get you up here, make you famous and share the passion for Revelry~Fellowship~Sanctuary that is and will forever be….. Beer Breakfast!! WANT ONE? – Beer Breakfast Tee’s are available for $25 including shipping (Mens & Ladies Styles). Send an email to jared@beerbreakfast.com and we’ll hook you up!! Me in My BB Tee – We caught a Tuna in Vail, CO! 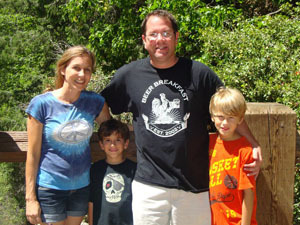 Stopped repeatedly on his hike up the mountain with granola folks lovin’ his BB Tee! 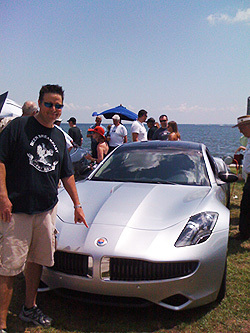 Me in My BB Tee – Brother Dave at the Festival of Speed in beautiful d’town St. Pete checking out his next ride….. the Fisker Karma… Ohmmmm…. Ohmmmmm. Me (or should it be Us?) 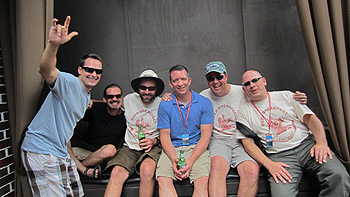 in My BB Tee – David and Michael Meadows, Jared, Kenny, Bro Dave and Neil strike a pose in the courtyard at Mandarin Hide during BB 2012. 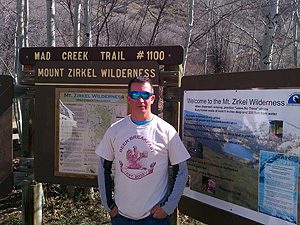 Me in My BB Tee – Kenny takes a break from skiing at Steamboat, CO for a hike in the Mount Zerkel Wilderness Trail System where he left NO TRACE! 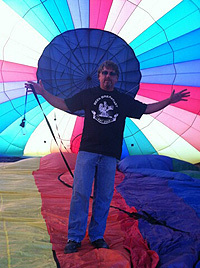 Me in My BB Tee – Capt. Mark preparing for liftoff in Homestead, FL on Feb. 23 – He’s not actually wearing it because he flies naked… go figure… he’s having his best season yet! 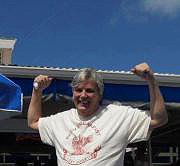 Bill Brass flexing his beer muscles…. Out there…. Somewhere!! 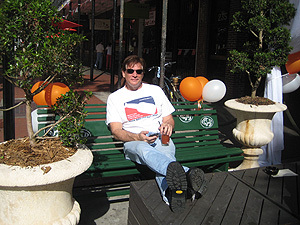 Me in My BB Tee – Big Ray, as we affectionately call him, hanging out at the 2013 Beer Breakfast at the Mandarin Hide looking all “old school” in his 2010 BB Tee.